The combination of the soft focus and vacant spaces constructs scenes that have of ghostly or abandoned quality. I particularly like the first image. 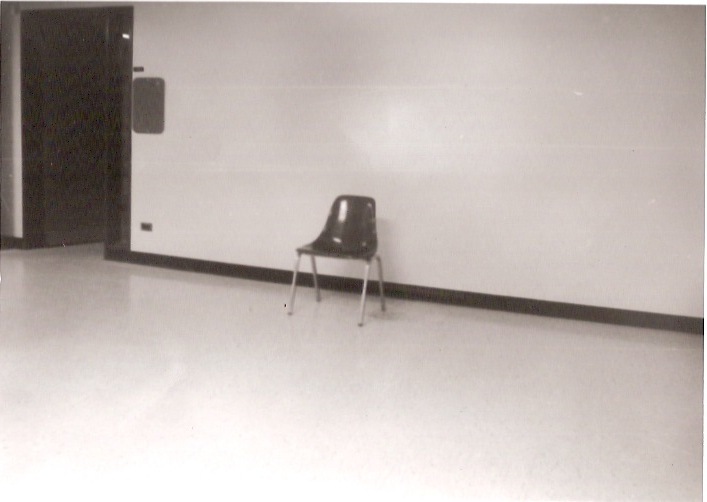 By placing the chair against a largely indistinguishable setting, you isolated your subject and thereby emphasized the absence of people. The door on the left also acts as an effective counterweight to the chair. These photos have a beautiful yet eerie quality to them. The top one especially where the chair serves as the subject. 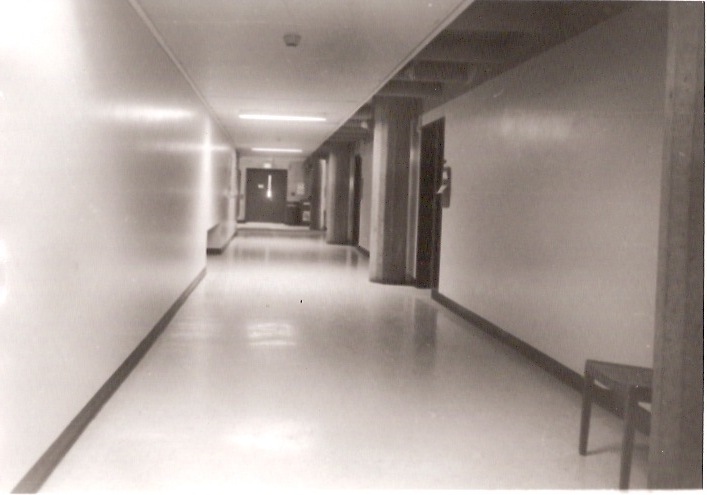 Its emptiness references that people were in that space and reinforces the absence of anyone other than the viewer. There is an eeriness about the emptiness you have captured. I like the softness, but I feel that the contrast could have been boosted up a touch. I feel that you are actually portraying the feeling of someone going thru the Humanities hallways. For me they feel in some sort of way lacking of something more. Like if there was a piece missing. That’s why by looking at your images I can understand a perspective at showing the spaces empty, as if was part of a ghost town. The feeling of strangeness in the set of pictures does create a great montage all together.